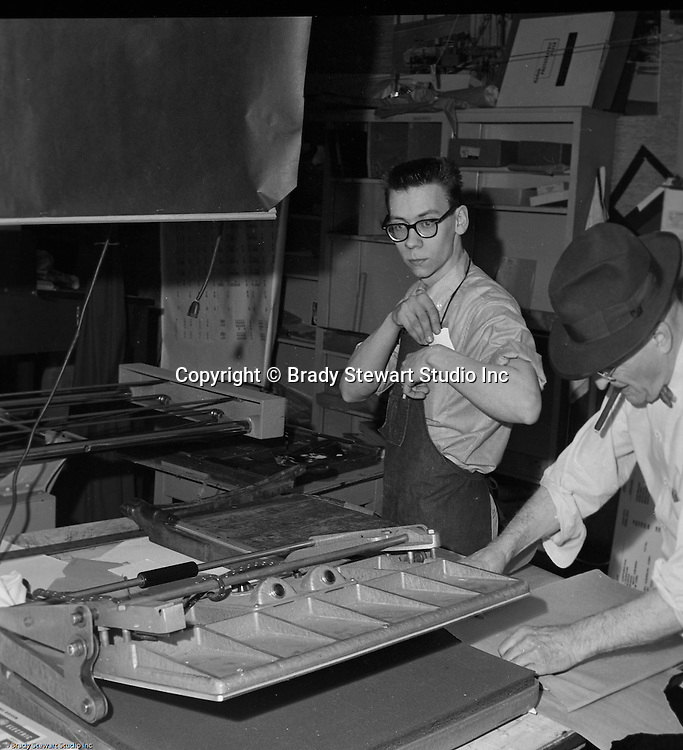 Pittsburgh PA: Robert Pavuchak getting ready to trim prints to complete a job while Brady Stewart Sr is preparing a print for mounting on cardboard - 1959. Our copy camera is in the background and a mounting press in the foreground. We continued to use the same equipment until 1991.